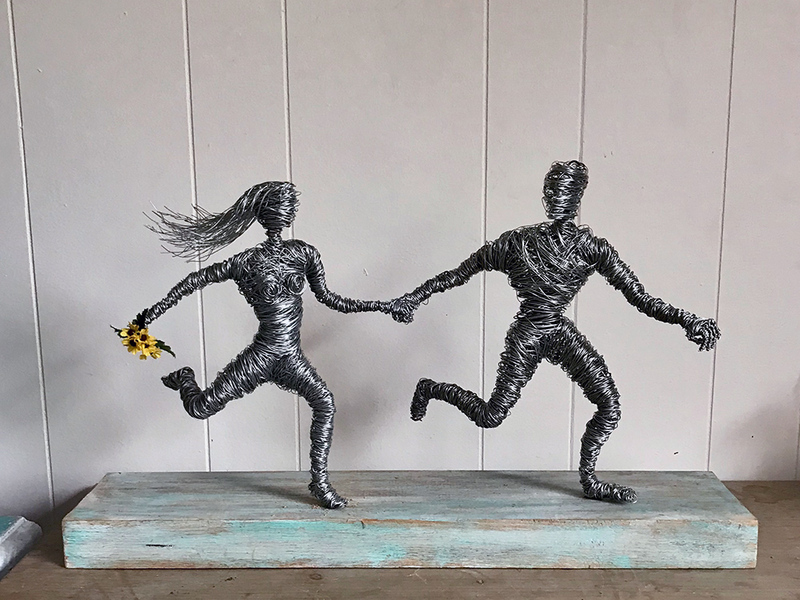 Annie Glass is a local wire sculptor who lives in Red Hill with her husband and three children. She has been working predominantly in wire for sixteen years. Her work is best described as whimsical and often humorous snapshots of life with a strong emphasis on movement, dogs and the human form. She has been involved in many group and solo shows as well as having her own stall at art Melbourne and Art Sydney. She has won multiple awards and has work held in many private collections throughout Australia the US and England.